Leanne Giordono has dedicated her life and career to serving others. Whether volunteering in AmeriCorps or PeaceCorps, starting her own business, raising three children, getting a Master's in Public Affairs from Princeton's Woodrow Wilson School, or pursuing a Ph.D. in public policy at Oregon State University as a National Science Foundation Graduate Research Fellow, Leanne brings her unique vision to everything she does. After receiving her Bachelor's Degree in 1993, Leanne served as part of the inaugural AmeriCorps cohort in the National Civilian Community Corps (NCCC). Here she worked as part of a team on several service projects during a year in California. After volunteering in AmeriCorps, Leanne fulfilled her lifelong dream of joining the PeaceCorps and spent two years working on Natural Resource Management in rural Africa. When volunteering with NCCC, Leanne was part of a tight-knit group who worked alongside one another on projects for the year. In the PeaceCorps, however, volunteers were spread miles apart and largely worked alone, but there were still opportunities for volunteers to come together once a week or so at the market or for a potluck. Leanne even met her husband — who was volunteering in a village 50 miles away — during this time. Mostly, though, she lived, made friends, absorbed culture, and got to know the people she was serving. "This experience opened up my frame of reference," says Leanne, "and allowed me to see the humanity in people who might otherwise just be a client or a customer. Once you live through those kinds of experiences, it's hard to completely distance yourself and see people in the community as just nameless faces." This experience was particularly useful for Leanne as it allowed her to humanize the quantitative work she has done for most of her career and remember the people behind the numbers. Until recently, Leanne's work has focused on economically disadvantaged populations and programs that help them find employment and support. She worked for several years at Abt Associates in Boston, putting together impact reports and evaluating programs. 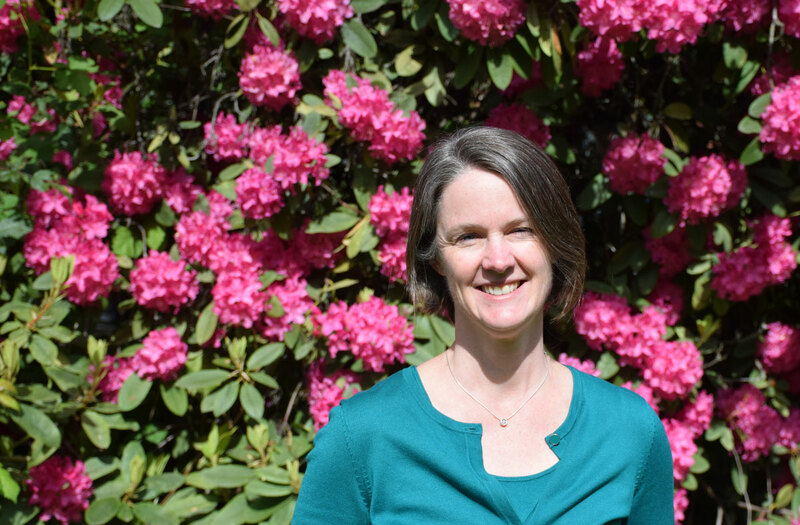 After moving to Corvallis in 2004, she co-founded a business that provides program evaluation to government agencies and nonprofit organizations. After having a daughter with an intellectual disability, however, Leanne wanted to narrow her focus and pursue a Ph.D. centered on her own research interests and agenda. Now Leanne is interested in looking at programs on the State and National level that work with individuals with intellectual disabilities and give them equal opportunities for work and education. Some of the questions driving her research are, how are these programs implemented at the State level and how do we judge or evaluate their impact and effectiveness? What are some of the variations among different states? What does the impact on people with disabilities look like in states with formal policies in place versus those states who simply adjust the existing rules? These questions are vital to Leanne and her research, and the challenges her daughter faces give real world meaning to her research and work. "My daughter's existence in my life means that there is always someone poking at me," says Leanne. "There's a real reason why I'm doing this. There's a real connection with the world." This grounding combined with her professional experience means Leanne is able to delve in with a sense of purpose and excitement and relish the opportunity to dedicate her energies to such important academic research.